It is a common Democrat talking point to portray the Benghazi investigation as unreasonably long, perhaps even the longest in history. That is not remotely true, as even left-leaning fact-check sites have been quietly pointing out. Also, despite the effort to portray Hillary Clinton as a heroic martyr for enduring a marathon session of testimony before the House Benghazi Committee last week, others have endured much more protracted grillings by Congress. PolitiFact gives the Clinton campaigns’ claims that the Benghazi investigation is “the longest-running congressional investigation ever,” repeated uncritically by virtually every mainstream media outlet, a 100 percent False rating. In truth, a number of congressional investigations have lasted much longer than 17 months, including the 1976 House Select Committee on Assassinations, the Senate Select Committee on Improper Activities in Labor-Management Relations from 1957-1960, and the truly immense investigations conducted after the Civil War and World War II. PolitiFact found many other examples of longer investigations conducted by permanent committees, instead of special panels dedicated to a single subject, like the House Benghazi Committee. It is further noted that many of these longer investigations came on the heels of other, less complete congressional inquiries, as was the case with Benghazi. The Daily Caller offers a few more examples that seem to have slipped the hyper-partisan minds of Democrats, including the three-year “Iraqgate” hunt by Rep. Henry Gonzalez (D-TX), the endless political fantasy of the “October Surprise” pogrom against the first President Bush, and of course the Iran-Contra investigation… whose early stages proceeded quickly, because the Reagan Administration provided documents and witnesses in a timely manner. Hillary Clinton and Barack Obama appear to have studied this as an example of how not to handle a scandal. The more pertinent point is that the length of the Benghazi investigation was determined by Hillary Clinton, the State Department, and the rest of the Obama Administration’s stonewall masons, not the House investigators. Clinton’s long-delayed day of testimony was delayed because the Committee wanted all relevant documents in hand. Relevant documents, such as Ambassador Chris Stevens’ emails, were still being tendered the day before Clinton testified. There is no excuse for this – it was a deliberate attempt to drag the investigation out until Clinton’s media sycophants could generate a round of stories about how Benghazi was old news, the public was tired of hearing about it, and only partisans and obsessives were still asking questions about it. The success of this tactic, and similar tactics employed in the IRS scandal, guarantees we’ll see more of it. The old conventional wisdom about “getting out in front” of a scandal is gone, replaced by the new mantra of delay, delay, delay. How many stories could possibly be kept fresh and relevant in the public mind for years, while Freedom of Information Act lawsuits and congressional subpoenas slowly ripen into court orders, which government agencies slow-walk or “forget” to fulfill with complete accuracy? As for Hillary’s day of testimony, her media has sought to portray it as extraordinary or unreasonable, but they avoid using words like “unprecedented” because it isn’t. Hearings tend to run long for witnesses with limited availability. Lt. Col. Oliver North testified for six straight days in the Iran-Contra hearings, to cite one of the most famous examples of truly “grueling” testimony. Criticisms can certainly be made of the Benghazi investigation and Clinton hearings. The traditional model of giving a parade of representatives their own spotlight dances with the witness leads to both repetition and grandstanding from both parties. Lone witnesses have only to keep their cool to look good against an entire panel of inquisitors. Republicans on the Benghazi committee don’t appear to have planned their media strategy for the aftermath very well. 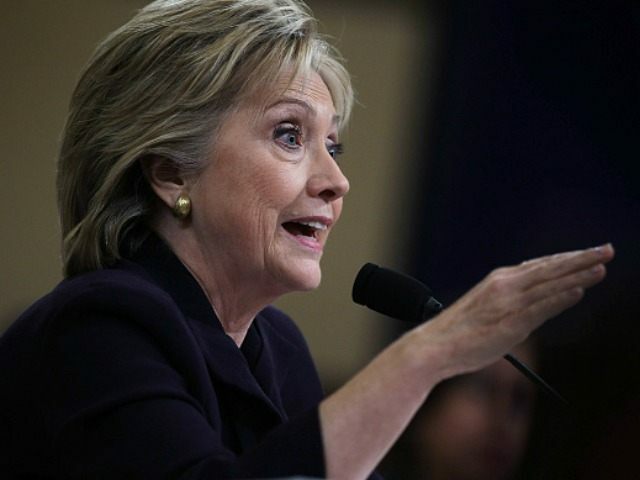 There were indeed some big revelations, including the final and indisputable proof that Hillary Clinton knowingly lied about the nature of the Benghazi attack while reserving the truth for her family and a few political insiders, but committee Republicans seem genuinely surprised the media quickly spun a “nothing new here, Clinton emerges unscathed” narrative. The larger, and more disturbing, question is: why have congressional hearings at all, if accountability is dead? Everything can be delayed for years, subpoenas can be defied, laws and policies ignored with impunity. Is there any way to have anything resembling a comprehensive investigation without investing years of effort… and giving partisans ammunition to complain the inquiry is unreasonably long and expensive? It will probably be harder for a Republican Administration to get away with such tactics, but not impossible, and they’re sure-fire winners for Democrats. If congressional oversight means nothing but theatrical productions years after the fact, we are one step closer to Congress becoming a vestigial organ, instead of a co-equal branch of government.